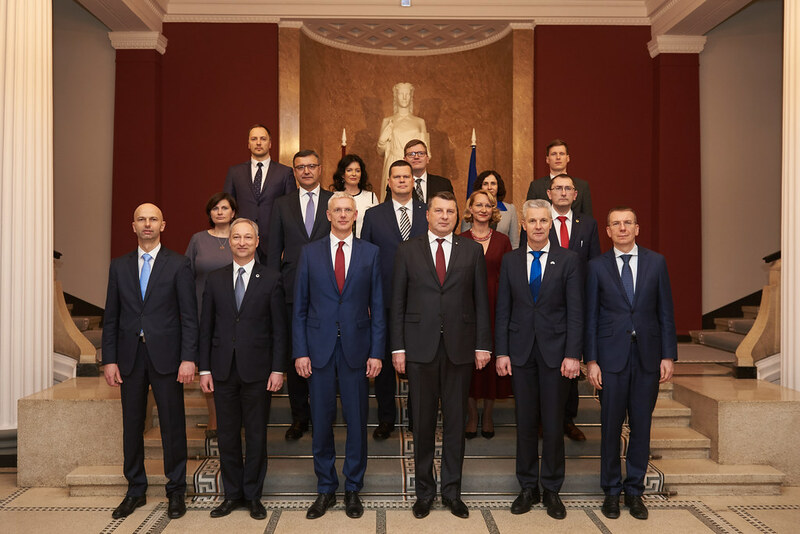 On Wednesday, 23 January, during its extraordinary sitting, the Saeima gave a vote of confidence to the new Cabinet of Ministers headed by Prime Minister Krišjānis Kariņš. The government headed by K. Kariņš will be composed of Deputy Prime Minister and Minister for Defence Artis Pabriks, Deputy Prime Minister and Minister for Justice Jānis Bordans, Minister for Foreign Affairs Edgars Rinkēvičs, Minister for Economics Ralfs Nemiro, Minister for Finance Jānis Reirs, Minister for the Interior Sandis Ģirģens, Minister for Education and Science Ilga Šuplinska, Minister for Culture Dace Melbarde, Minister for Welfare Ramona Petraviča, Minister for Transport Tālis Linkaits, Minister for Health Ilze Vinķele, Minister for Environmental Protection and Regional Development Juris Pūce and Minister for Agriculture Kaspars Gerhards. According to the Declaration, the government of K. Kariņš will primarily focus on the alignment of the financial system, the strengthening of the national security and the rule of law, the implementation of the administrative-territorial reform, the improvement of the quality and accessibility of the health care system and the education system. The government will also address the removal of the mandatory procurement component, the increase of the economic competitiveness, productivity and investment, and the improvement of the demographic situation. The work on the implementation of these priorities will be based on a strict fiscal discipline with the intention of building surpluses in the state budget.